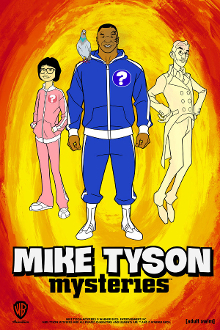 Mike Tyson Mysteries HD Blu-Ray. Animated series. Mike Tyson, his adopted daughter, a friendly ghost, and an alcoholic pigeon solve mysteries. Blu-Ray Set Includes: Full Season, 5 episodes. Duration: 55 minutes total. Each episode is about 10-12 minutes long.